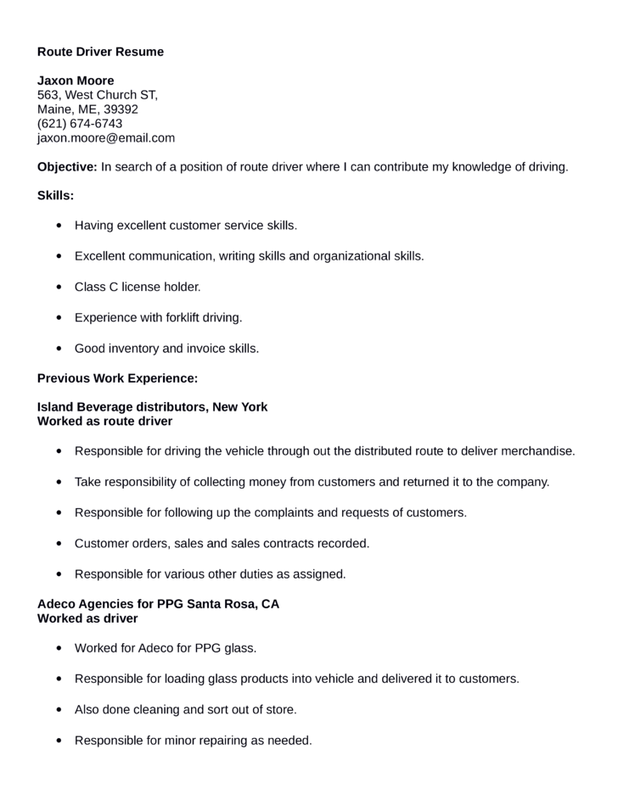 Objective: In search of a position of route driver where I can contribute my knowledge of driving.  Having excellent customer service skills.  Excellent communication, writing skills and organizational skills.  Class C license holder.  Experience with forklift driving.  Good inventory and invoice skills.  Responsible for driving the vehicle through out the distributed route to deliver merchandise.  Take responsibility of collecting money from customers and returned it to the company.  Responsible for following up the complaints and requests of customers.  Customer orders, sales and sales contracts recorded.  Worked for Adeco for PPG glass.  Responsible for loading glass products into vehicle and delivered it to customers.  Also done cleaning and sort out of store.  Responsible for minor repairing as needed.